Throughout our State’s history some extraordinary Western Australian women have left their mark, in our cities and throughout the regions. Women who have forged forward to create new settlements, strong communities, become pioneers of industry and business innovators. It was not an easy path for our forebearers, but their courage; resilience, resourcefulness and integrity, is what helped build this great State. In celebration of these women, the WA Women’s Hall of Fame was launched in 2011. Eight years later, this annual event has seen 183 ‘inspiring’ women acknowledged for their achievements and the difference they have made to the lives of fellow Western Australian’s. 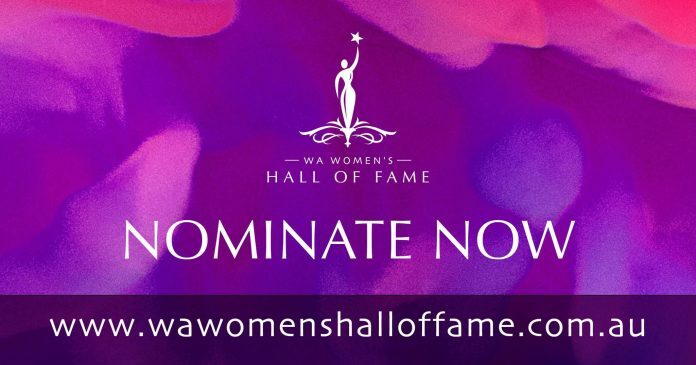 The WA Women’s Hall of Fame provides the opportunity for women from all walks of life, from all regions in this State, and from a myriad of diverse cultural backgrounds to be recognised for their achievements and the difference they have made to the lives of other Western Australian’s. The Committee urge people to think about nominating a relative, a colleague, a friend, a neighbour, or simply some-one they admire. A woman who they think has made a difference in their community and in doing so has also mentored other young women. This year’s inductees will be selected from one of eight categories and announced at a special ceremony, Thursday 7 March 2019, in the presence of The Hon. Kim Beazley AC, Governor of Western Australia, in Government House Ballroom. The WA Women’s Hall of Fame is supported by ISHAR Multicultural Women’s Health Centre and sponsored by Lotterywest, and the Department of Communities.